Initially, communities will try to reverse the effects of climate change. The US will begin resettling its first climate refugees in the near future, an effort that will set a template for many other resettlements around the world. As temperatures rise and the ice caps melt, sea levels rise and land gets submerged. 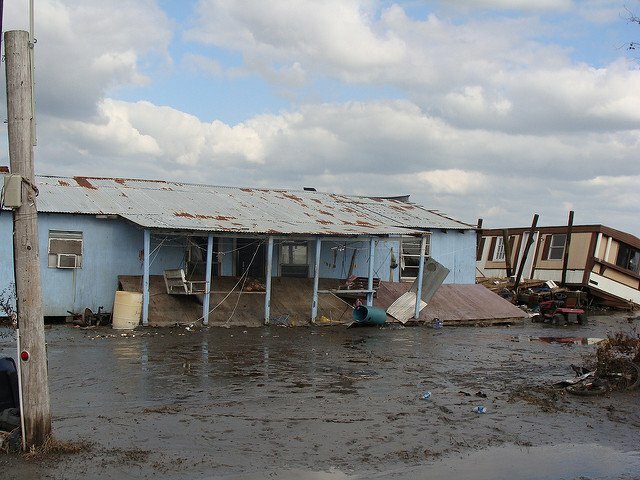 And as land gets submerged, people living on coasts are displaced from their homes. This is the irrevocable logic of climate change, yet it often seems distant and abstract. Until climate change starts to play out in someone’s day-to-day life in the form of flooded roads and swamped basements, people generally avoid thinking about its impending nature. By 2050, it’s estimated that up to 200 million people around the world will be displaced by climate change, effectively becoming “climate refugees,” according to the UN. Initially, communities will try to reverse the effects of climate change and build systems that block and drain water from the land. But, inevitably, people will have to move. Inevitably, climate change will become too much. 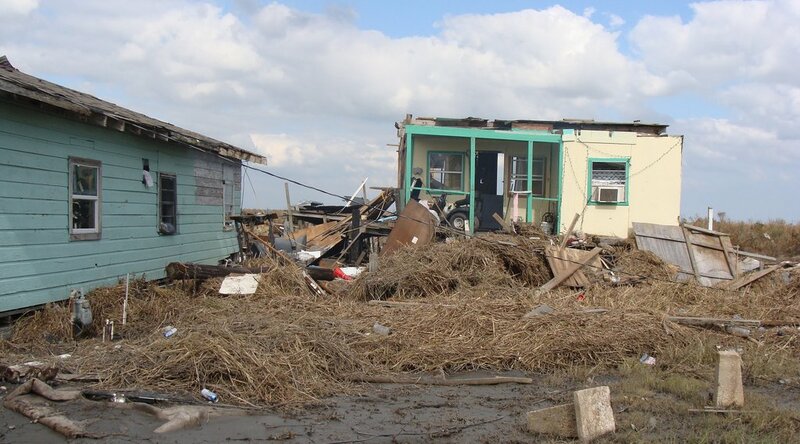 For the 60 or so people living on the Isle de Jean Charles, on the far southern coast of the US state of Louisiana, climate change has become too much. Since 1955, more than 90% of the island’s land has washed away. What remains has been degraded from perpetual flooding and flood-control efforts and will be underwater in the years to come. Trees and crops no longer grow and homes are rotting. 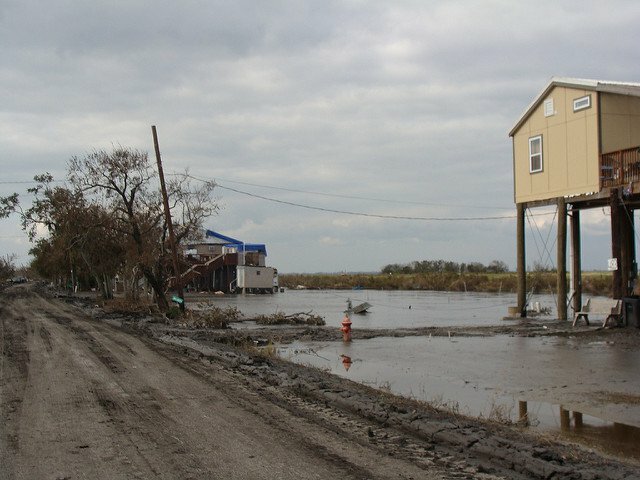 The bridge that connects the island to mainland Louisiana, and many people to their jobs or schools, often becomes flooded and can’t be crossed. The inhabitants of Isle de Jean Charles are Native Americans who have cultivated the land and fished the waters for more than a century. Having to move is heartbreaking for many residents whose families have spent generations on the island. For others, though, the move is a relief after a years of struggle and isolation. Plans for relocation have been discussed for years and even now, after $48 million USD from the US Federal Government has been allocated, specific plans remain uncertain. It’s not clear where exactly the citizens will be moved, what accommodations will be made for them and how they will be integrated into their future community. These are all essential considerations that can’t be glossed over. The people also want to maintain a degree of separation from wherever they settle so that they can preserve their distinct ways of life. The move is part of a $1 billion USD federal package aimed at helping states cope with climate change, but the money earmarked for Isle de Jean Charles stands out for its daring. Never before has the US attempted a similar resettlement. All of the funds set aside for the island have to be spent by 2022, so there’ll be a clear sense of what can be achieved in a few years. Other parts of the US coping with rising sea levels are doing what they can to delay what seems inevitable. For instance, Miami is spending billions of dollars for drainage systems and other infrastructure, but its porous limestone foundation all but guarantees its future submersion. Against this backdrop, it’s good to see the federal government proactively trying to resettle an at-risk community. Delaying climate change will work sometimes and for some years, but when that fails, backup plans have to kick in. And, more often than not, those backup plans will have to involve resettlement.